When your blinds are ready, we will visit your property in Swansea and fit them for FREE! Selected blinds can be installed in the Swansea area within 3 working days of ordering. Our blinds specialist in Swansea, will arrive during the time slot you have chosen to measure up and talk you through the range of blinds available for your home. Your appointment will last approximately 30 mins and our blinds specialist will be happy to answer any questions and offer you any advice you need. 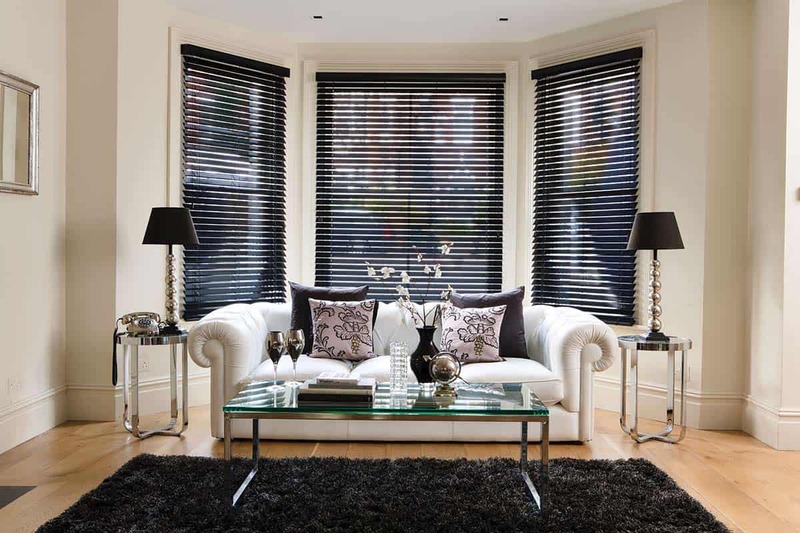 Choosing the best blinds for your home in Swansea. Window blinds are excellent choices as they’re not just practical, but they’re also perfect if you want to add a touch of style and sophistication to your rooms. As you know, colour is an important decision a homeowner has to make with blinds as it can make or break a home’s look and feel. Of course, you need window blinds Swansea that don’t just provide the functionality required by your space, but also ones that won’t take away the room’s design motif and aesthetic quality. We know you haven’t decided on a colour yet as you’re reading this article. Worry not as we are here to guide you with the decision-making process. Window Blinds: Which Colour Suits Your Space? In styling, different stains and colours lend themselves to several different décor schemes and applications. Without a doubt, it’s hard not to pull off earthy interiors, especially with faux wood and natural wood blinds. We are big fans of wood blinds especially ones that are made of bamboo for Zen-inspired spaces. They are not just totally down-to-earth, but they are also eco-friendly. It’s not a secret that bamboo is a fast-growing plant, making it extremely sustainable. Bamboo blinds are the ideal choice for your Earth-focused interior. Blinds Swansea that can easily blend into modern spaces are those that are in grey or neutral colours. If your room looks clean, simplistic, and fresh, you most definitely can’t go wrong with neutral-coloured blinds, especially snow white and baby powder. If what you want is something that’s more masculine with a transitional flair, grey blinds are perfect. If you have houseplants sprinkled all over your residence, as well as original artwork and Oriental rugs, then you can easily get lost when picking out the colour for your new blinds. Contrary to popular belief, blinds can be eclectic too! We always love witnessing our dark-coloured blinds work within eclectic spaces. But, what your space may need is something that can lighten up the mood. If so, then lighter coloured blinds and shades will definitely do the trick. We love things that are just a tad bit retro and funky or Scandinavian and sophisticated. If you do as well then you would fall in love with bold-coloured honeycomb blinds! The window dressings honour the biggest design trend of the ‘50s and ‘60s with their design. They also come in lots of unique colours, so you will find the one colour that matches your space. It pays to know that honeycomb blinds also work in bright colours like red, green, and orange. There are lots of ways that you can complement well-appointed formal or traditional living spaces like with the use of real wood blinds that are finished in a rich mahogany stain. Such blinds have a classic look that will suit any room that’s inherently traditional in style. Blinds that are equipped with additional features for your home in Swansea. Commercial window treatments can have a significant impact on any business environment. It doesn’t matter if you’re running a high-end restaurant, retail store or corporate office; the right commercial window blinds can help set the tone and provide the desired atmosphere for customers and employees. Keep in mind that choosing the right commercial window blinds Swansea is not the same as picking a residential one. There are different factors that you need to consider. Don’t worry as this article is going to cover a few of the essential factors that need to be accounted for when getting commercial window blinds. For a commercial establishment, the building code and safety regulations are the topmost priority. If you have little knowledge about this area, it’s best that you talk to one of our experts. • Building Code – A building outlines its own set of building code for every aspect of a commercial space. It’s essential that you know the building code that applies to you to avoid costly mistakes. In case of violations, it’s likely that you’ll pay a fine, be instructed to remove the blinds or both. • Safety – The design of your window blinds will impact the safety levels of the commercial structure. For example, in case of an emergency like fire, does the window treatment obstruct or allow easy escape through the window? Also, the material of the window blinds must be assessed for its level of flammability. One of the fundamental purposes of blinds Swansea is for increased comfort. Hence, it’s essential that you know which factors can have a significant impact on comfortability. • Light Control – Too little light can create a dreary atmosphere. Too much light can cause discomfort visually. Assess the maximum amount of light that you’d want in the room, and make sure the blinds are up to the task. • Window Position – If the window is facing the direction in which there’s a lot of sunlight, then you’d want to place blinds that can block plenty of light. Also, blinds that provide insulation from outside heat are highly advisable. • Room Environment – When determining the right amount of light for a specific room, you will often refer to the task that’s being performed within the area. Certain tasks work well with a darker room, while other jobs need plenty of light. These days, there are already motorised blinds that can open, close and adjust automatically via remote control. This also means that you can adjust the blinds with lesser time and effort. However, such kind of setup can be expensive. 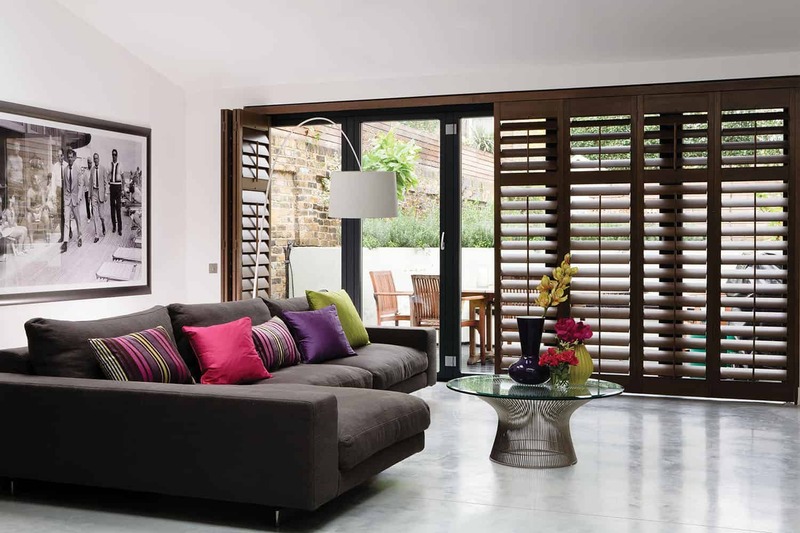 As the name suggests, manual blinds need you to adjust the treatments by hand. This type is more affordable, and it can do the job, but it’s less convenient in comparison to motorised blinds. Now that you know how to choose commercial blinds, it’s easy to make the mistake of assuming that installing them is an easy task. There are plenty of ways of doing it the wrong way. Furthermore, correcting the error will cost you both time and money. It’s the reason why it’s highly advisable that you work with an experienced installer of blinds Swansea. If you want to add a bit of luxury and sophistication to a room, then cordless blinds are worth considering. Perhaps you are not yet sure what cordless blinds are all about. That’s going to change as we’re going to cover the most critical points you need to know about cordless blinds. As the name suggests, cordless blinds do NOT come with a cord. Hence, they are not the blinds that most people are used to. With this type, there are no hanging rods or lines that are connected to the top rail. Also, there’s nothing for the user to pull. Keep in mind that you have plenty of options when it comes to cordless blinds. The faux wood and wooden variety are perhaps the most common. However, you can find other styles such as classic pleated and single cell blinds. Also, you can choose from either blackout, light filtering or solar. In fact, the options are plentiful that it’s likely you’ll find the right one for you no matter the budget and preference. Cordless blinds offer plenty of advantages over the “standard” types. It’s no wonder why the sales of such product continue to rise year after year. • Aesthetically Pleasing – Having no strings that can become knotted, cordless blinds allow users to enjoy a cleaner and sleeker look for their window treatments. Also, the blinds enable any onlookers to focus more on the charm and artistry of the design elements of the blinds. • Safer – Pets and kids are naturally curious, especially with hanging cords and strings. Cordless blinds Swansea are safer as they prevent pets and children from getting caught up. This makes cordless blinds ideal for new parents and in homes with energetic pets. Most importantly, cordless blinds can provide you peace of mind that your kids and pets are safer. • Flexible – It doesn’t matter where you live or what room you want to install the cordless blinds in, there’s always a style that’s perfect for your wants and needs. For example, you can choose roller shades or a single cell for the nursery or your bedroom. Or, you can choose faux wood to give your bathroom or kitchen a feeling of warmth. Furthermore, you don’t have to worry about moisture warping with faux wood blinds. For a modern and subtle look, you can always pick pleated shades. Such a type is always an excellent idea for a dining room, family room and living room. • Convenient – With cordless blinds Swansea, fumbling with the chords or strings is a thing of the past. With just a flick of the wrist, you can easily adjust your blinds. Despite the many advantages of cordless blinds, there are still factors that you need to get right. If you make a mistake with the measurements of the blinds or their fitting, it’s likely that you’ll end up with a costly mistake. Hence, it’s best that you work with a reputable and experienced blinds installer. You can consult with some of our experts as they are some of the best in the industry. 3 Blinds Nice Swansea provide quality made to measure blinds in the Swansea and surrounding areas. We offer the full package; blinds measuring service, blinds manufactured to your spec and measurements, blinds fitted for free and a 12 month guarantee service.